Somehow this saying rings true and whenever the complexity of life seems overwhelming. Coming back to this simple phrase creates calm, clarity, and focus. There is also a message here that anyone looking for employment can relate to. The last statement, “something to look forward to,” is maybe the most important. Without hope we are simply creatures of circumstance. Hope is one of the best tools for furthering a career and getting what you want out of life. Here is a review of what hope means in the world of employment and a few tricks to stay on the hopeful side of this four letter word. Coming across an advertisement for the perfect job is often where hope starts. Any job seeker will know the perfect job when they see it, the ad will literally jump off the page. It will say, “We need all of your unique skills and talents and we are willing to pay you a fortune for them.” After looking through reams of inappropriate jobs or positions where a person's skills fit like Cinderella's stepsister's foot into the glass slipper seeing the perfect job is like manna from heaven. Take the job listing, copy it word for word and post it all over the house. Apply for the position too. However, this ONE job is not the important part. This one job is simply a guidepost that shows the way to the perfect job. Analyze the words in the post, for example: Accounting background, Six Sigma certified, self-starter, team player, at least 10 years of experience working for a Fortune 500 company. Choose the words that resonate best and make a list. These are going to become the search criteria for future job searches. This approach will open many new places to look where your skills will have value; places that often a job-seeker fails to consider. There is nothing that boosts hope more than seeing a hundred potential jobs openings when before there seemed to only be a few. Maybe your skills didn't fit, maybe you personality clashed with the current culture of the company, maybe the position is already promised to the chairman's son and the interviews are just a charade. As a job applicant there is no way of knowing exactly why you didn't make the cut. However, be assured that there was a reason and the interviewers knew what they were doing. You didn't belong at this company and it is best they didn't hire you. Calling to ask for an explanation as to why you didn't get hired is one way of improving your chances the next time around. However, don't expect to get a truthful answer. Interviewing, like anything, takes practice. Having the opportunity to interview over the phone and in person again and again will improve your chances when the right position does come along. Move forward undaunted by defeat and plan for the next interview where you may be exactly what the interviewers are looking for. Job applicants sometimes think they are the only ones with hope in the employment process. Nothing could be further from the truth. Employers are equally desperate to find the right person for the job. 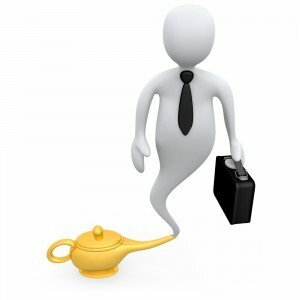 After years of layoffs, disillusionment lies like a dense fog on the desks of countless companies. Hope is a marketable commodity and a valuable weapon when looking for a job in today's market. Charles Revson, the founder of Revlon is quoted as saying, “In the factory, we make cosmetics; in the drugstore we sell hope in a bottle.” Sell hope to employers; spend time researching to figure out three things the company desperately wants to achieve right now and then convince them that you are the person to deliver these things. It doesn't matter if the job you are applying for is lowly- you have no intention of staying in this one position forever- not with your vision and charisma! Get out there and sell the interviewers on the idea that you have the power to make them beautiful. Hope is precious and contagious. Don't be surprised if this method lands you a great job.